On Saturday, the 9th February entered 2 Italian divers at 11:45pm the cave ‘El Bubu’ in the Northeast of the Dominican Republic. Because they did not surface till 2:30pm an alarm was issued. Divers of the Dominican Republic Speleological Society organized an emergency mission. Involved have also been divers from United Kingdom, Argentina, Mexico, Canada and USA. An Italian diving team was on readiness to help their compatriots. 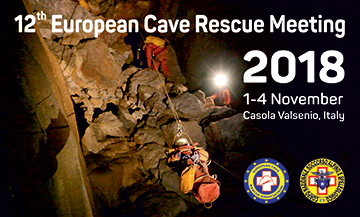 CNSAS asked the European Cave Rescue Association to make contacts with the operational organization. The casualties are not known by CNSAS and the Italian speleological science. On Tuesday we received the message, that the cave rescue divers found the bodies of the missing persons. Because of the bad water conditions the bodies could only be recovered on Thursday. Our thoughts are with their families and friends. The purpose of ECRA is to promote the exchange of knowledge and experience in the field of cave-rescue.